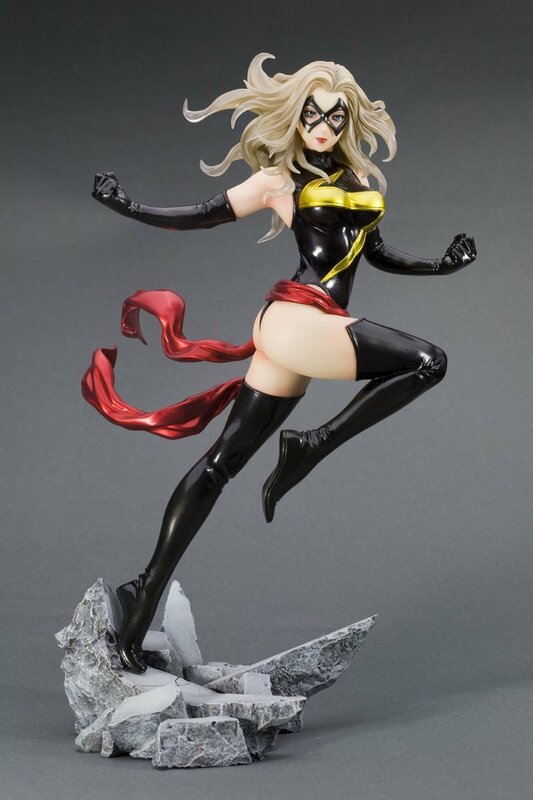 This Kotobukiya Ms. Marvel bishoujo statue features Ms. Marvel wearing her modern costume. By design, her hands can be presented with her cosmic bursts or without. This statue stands 9 1/10 inches tall.